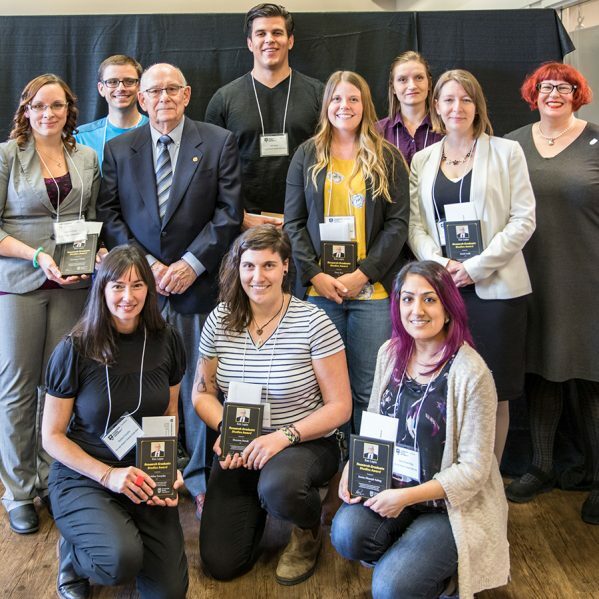 Kamloops philanthropist Ken Lepin presented awards to nine graduate students this week. Kamloops philanthropist Ken Lepin presented $51,000 to nine graduate students during an Oct. 10 ceremony. This is the fifth year the awards have been offered. The awards are available to help domestic students who are entering their first or second year of a full-time graduate studies program. 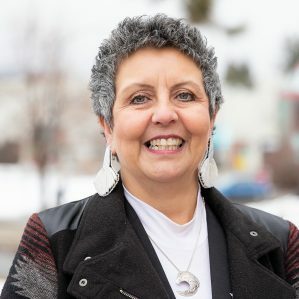 The awards are given on the basis of outstanding academic achievement in course work, research and leadership activities, and students who are originally from Kamloops and who completed their undergraduate studies at TRU are prioritized. “It’s always a pleasure to celebrate graduate students at TRU and these students have proven themselves as exceptional academics, researchers and leaders,” said Troy Fuller, Director of Research and Graduate Studies. The awards have an immediate impact on the lives of the students who receive them. “I am understandably ecstatic about this award. The generosity of the Lepins is amazing and their commitment to assisting students at TRU is inspiring. 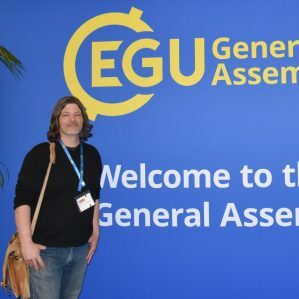 The award grants me the opportunity to focus on my Masters project in a way that otherwise would not be possible and for that I am very grateful,” said recipient Brandon Turner, who is working toward a Master of Science in Environmental Science. 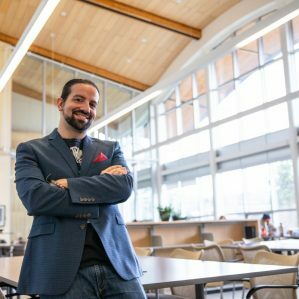 Bhreagh Huber, MBA, was awarded the 2018 Ken Lepin Prize of Business Excellence, Entrepreneur and Communication (MBA), and received $3,000.